Searching for a Certified Pre-Owned Nissan for sale near New Haven? With over 62 Certified Pre-Owned Nissan cars and SUVs in stock, Nissan has you covered. For Hamden drivers looking for the cost savings of purchasing a used vehicle but would still like the comfort of being under warranty, a CPO Nissan is the perfect option. For added savings on a Certified Pre-Owned vehicle, you’ll also want to check out our rotating used vehicle specials. Our specials are ever-changing so check back often. Browse our inventory below to find the pre-owned Sentra or Altima you’ve been looking for. 2017 Nissan Rogue S** CARFAX One-Owner. Clean CARFAX. **BLUETOOTH**, **NISSAN CERTIFIED**, CARFAX 1 OWNER, Super Low Miles!, **4X4**, *BACK UP CAMERA*. Nissan Certified Pre-Owned Details: * Warranty Deductible: $50 * 167 Point Inspection * Includes Car Rental and Trip Interruption Reimbursement * Limited Warranty: 84 Month/100,000 Mile (whichever comes first) from original in-service date * Vehicle History * Transferable Warranty (between private parties) * Roadside Assistance Executive Jeep Nissan , a short drive from MA, NY, RI, NJ, and VT. Our guests enjoy an exceptional shopping experience with our courteous, knowledgeable staff. Our accelerated sales process respects your time, and our transparent fair market pricing takes the hassle out of car shopping. Every vehicle is provided with the safety inspection and complimentary history reports. To make your life a little easier, we are even open Sundays for sales and service by appointment. Price includes Nmac incentive. Must finance through NMAC to qualify for incentive. 2019 Nissan Sentra SV ** CARFAX One-Owner. Clean CARFAX. **BLUETOOTH**, **NISSAN CERTIFIED**, CARFAX 1 OWNER, Super Low Miles!, *BACK UP CAMERA*. Nissan Certified Pre-Owned Details: * Roadside Assistance * Transferable Warranty (between private parties) * Limited Warranty: 84 Month/100,000 Mile (whichever comes first) from original in-service date * Warranty Deductible: $50 * Includes Car Rental and Trip Interruption Reimbursement * Vehicle History * 167 Point Inspection Executive Jeep Nissan , a short drive from MA, NY, RI, NJ, and VT. Our guests enjoy an exceptional shopping experience with our courteous, knowledgeable staff. Our accelerated sales process respects your time, and our transparent fair market pricing takes the hassle out of car shopping. Every vehicle is provided with the safety inspection and complimentary history reports. To make your life a little easier, we are even open Sundays for sales and service by appointment. Price includes Nmac incentive. Must finance through NMAC to qualify for incentive. Here at Executive Nissan, we want you to drive home to Northford in a used car you feel good about. That’s why all of our Certified Pre-Owned vehicles go through a rigorous inspection by our expert service technicians. You can also rest assured you’ll be getting the best used car deal with our Perfect Price Policy. 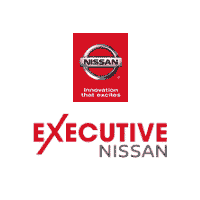 Once you’ve browsed our inventory of Certified Pre-Owned cars and SUVs in stock, we invite you to experience the Executive Nissan difference and stop in for a test drive. Contact us at your convenience to schedule your visit to our showroom in North Haven near Wallingford.